Compost is finished when it is a dark rich color, crumbles easily and has a sweet earthy smell and most importantly none of the original ingredients should be recognizable. The time it takes depends on the system used and the effort put in, it can take anywhere from 3 to 12 months. Unfinished or partially decomposed compost material should not be tilled or dug into the soil of a garden that is going to sown or planted within a short time. The main problem which will arise from doing so is nitrogen-draft, this is where the micro-organisms involved in the decomposition process continue to work and use nitrogen from the surrounding soil creating nitrogen deficiencies in the crop being grown. Because compost is a ready to go nutrient source it isn't important when it is adding to the bed. 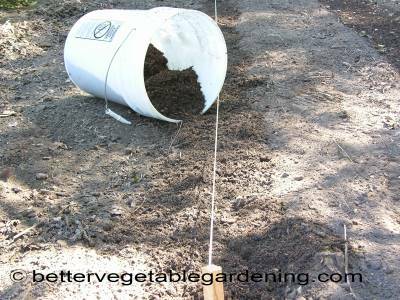 When using compost in the garden situation it can be done ahead of time or when you are sowing and transplanting seeds and seedlings. This is fine if supplies are unlimited. 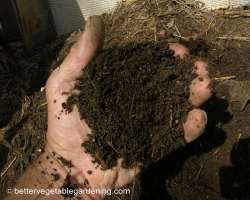 Alternatively spread compost along the row to be planted, and dig or fork deeply to mix the compost and soil together. The third method of adding compost when transplanting is to dig a hole where each transplant is going to go. 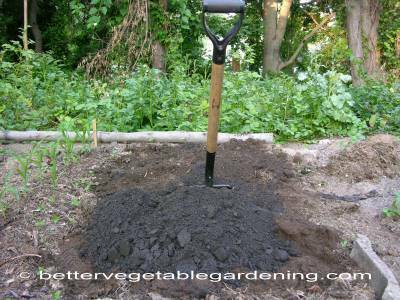 Pour in a generous amount of compost, mixing well with the soil. Ensure the hole is wide and deep enough to prevent the roots from encountering a barrier of poor soil and not growing out past it. Simply made by adding compost into a bucket or barrel of chlorine free water, cover the container and let it steep. Stir the mixture every day, when the tea has a light brown color it is ready to use. To use compost tea you can pour it around the bottom of your plants and let it soak into the ground as a soil drench or poured into a sprayer and used as a foliage feeding medium. 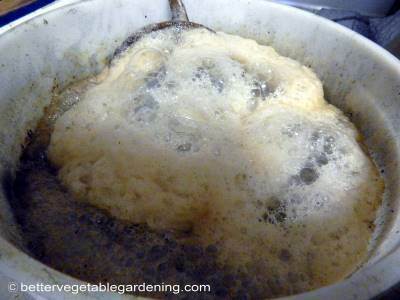 Compost tea is a liquid nutrient source derived from steeping finished compost in water, as with other nutrient teas this can be a passive or aerated tea. The compost tea being made in photo left is an aerated tea. Application rates not only depend greatly on the organic matter content of the garden being treated but the climate. Soil in warmer areas depletes organic matter quicker than cooler areas and so require heavier applications to maintain a good balance. If the garden has a long history of adding compost, mulches and organic fertilizers then the soil microbial life will most likely be abundant, the levels of humus in the soil should be good with plenty available to the plants making large application rates unnecessary. On the other hand if the garden is new or low in organic material soil microbial life will likely also be low and need much higher levels of compost added for several seasons. For new and low organic content vegetable gardens add 4-6 inches (10-15 cm) before each new planting, then work the compost into the top 6-8 inches (15-20 cm) of earth. 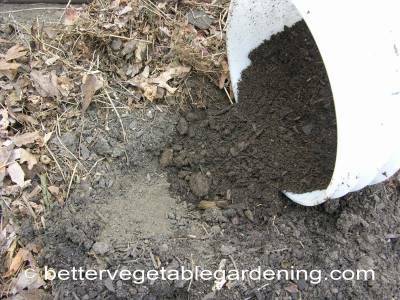 For well established gardens around 1/2 to 1 inch (12-25 mm) of compost before every planting is enough, as above, working it well into the garden bed. Finished compost can be add to the soil any time of year without the fear of burning plants. The most effective time is in the spring when the conditions are best for the soil microbes, apply compost at least two weeks before planting to maximize its effectiveness.